On Friday, July 13th we were in London on a short vacation. By coincidence, Donald Trump was there too. We stumbled upon the protest march and found the atmosphere quite inspiring. Here are some shots of the march. I’m envious! Looks like a terrific atmosphere. 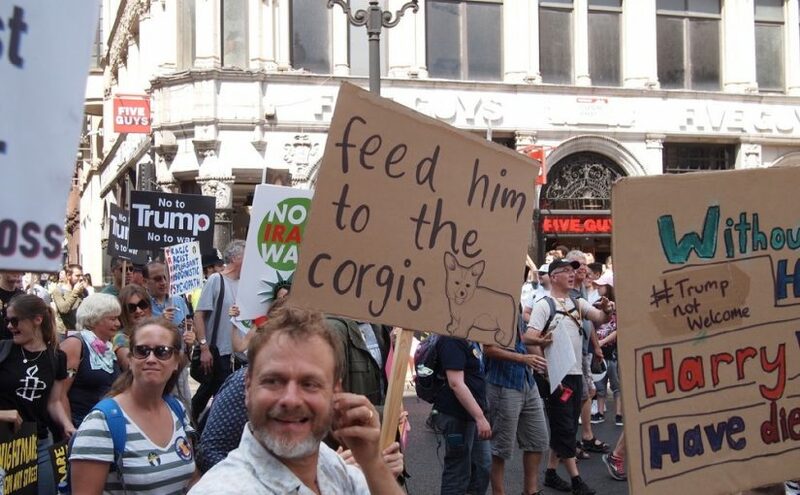 Love the biting cleverness of the signs. Next Next post: I’m the Keymaster. Are you the Gatekeeper?